1) Users can now choose their lending period after clicking the ‘Borrow’ button on a title from anywhere on the site. 2) After selecting a lending period, users are presented with the options to either read/download the title or close out of the pop-up window to continue browsing. This provides a more instant borrow and delivery flow, and the option to download or open a title is still available from the Loans page. 3) Users are now automatically placed on hold for any titles they recommend to help streamline the process when recommended titles get added to the collection and help users get access more easily. Also, in the coming weeks, OverDrive will be adding the option to run an Advanced Search by Award. Good afternoon! 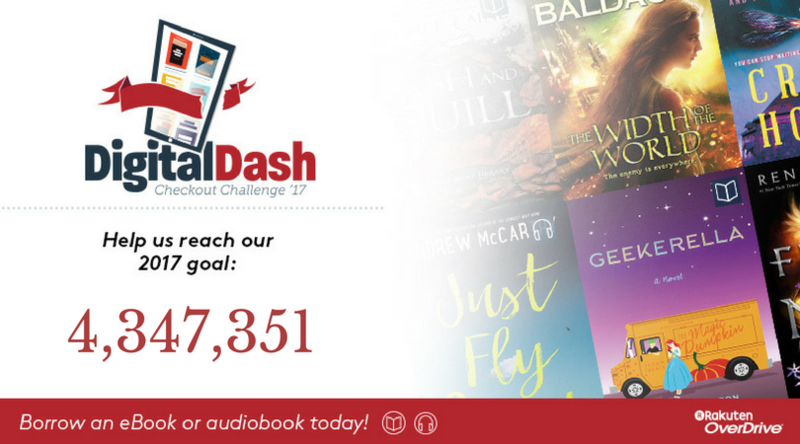 I'm sharing some information about the Digital Dash and our chance to win some content credit from OverDrive! 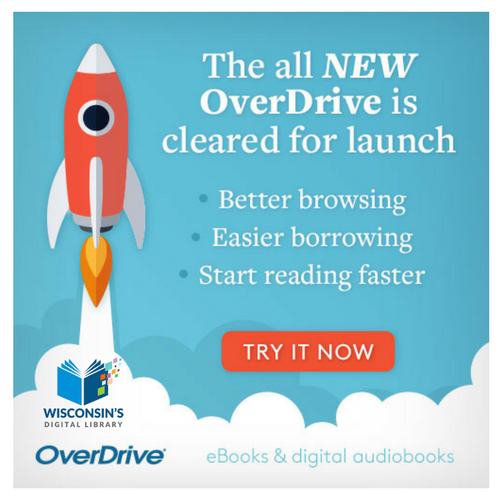 The Digital Dash is a checkout challenge for Wisconsin's Digital Library to reach record numbers in ebook and digital audiobook checkouts. If we meet or surpass our (very specific!) goal of 4,347,351 checkouts by end of day on December 31st, the library will be entered for a chance to win up to $1000 in content credit and/or have $5000 in holds fulfilled. 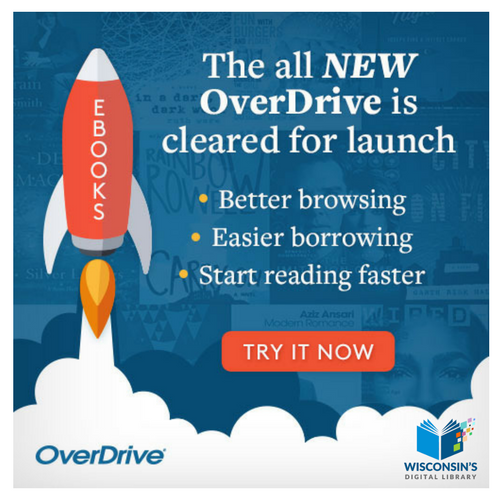 A custom graphic with our Digital Dash goal number that you can share to social media and websites and link to Wisconsin's Digital Library (https://wplc.overdrive.com/) is attached. A cool counter to watch us get closer to our goal in real time! ​Let me know if you have any questions. Thank you and have a great holiday! A PDF about the new site is available here. 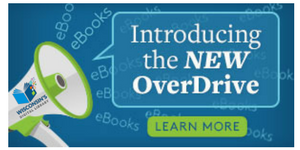 Recordings and slides from the previous training webinars on the new OverDrive platform are now available. You can find links to them on the WPLC website, along with the full explanation of this transition. As you preview the site, if you would like to report issues or share feedback to OverDrive, use the "Feedback" link at the top of the page or the "share your site feedback" link in the orange banner. To provide specific feedback about an issue, do not select "Website issue" at the bottom of the first page; that will end the survey. Also, the "contact support" link that appears at the top of the survey leads to an OverDrive page with out-of-date information. Please disregard. Please contact wplc-info@wils.org with any questions. ​​Hello! I've attached some graphics to be used as is or modified for your websites or communications about the new OverDrive platform. These can also be found at http://www.wplc.info/node/381. Amanda Burns (Algoma Public Library Director) is the NFLS support representative that library staff can contact for issues outside the Help and YouTube pages. Amanda will be the one to contact WiLS/WPLC/OverDrive for any additional support.